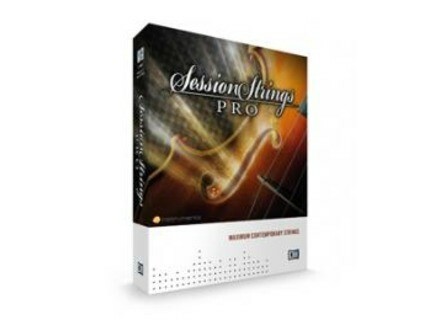 Session Strings Pro, Virtual strings ensemble from Native Instruments in the Session Strings series. Product replaced by the Native Instruments Session Strings Pro 2. 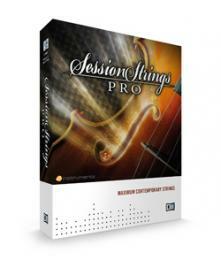 Native Instruments has just introduced Session Strings Pro, an extended version of the Session Strings instrument. Usable in KONTAKT or the free KONTAKT PLAYER, Session Strings Pro is designed to recreate a contemporary string section and lends itself to sophisticated pop and dance productions across a variety of styles. Produced by sampling expert Thomas Koritke of e-instruments and based on nearly 50 GB of samples, Session Strings Pro expands on the original Session Strings library. It is based on four separately captured 11-piece ensembles, representing contemporary and traditional instrument placements, and recorded in two different microphone positions each. The addition of true release samples and twice the amount of "round-robin" variation samples are designed to further enhance the sonic authenticity of the instrument. The Animator, based on the KSP scripting technology in KONTAKT, is now customizable in Session Strings Pro, allowing users to create individual rhythmical phrases. Twenty-nine specific articulations with up to four velocity layers are designed to provide the expressiveness of a string section - with additional staccato, spiccato and glissando types as well as new trill articulations. Separate production and performance presets are designed to accommodate both studio and live usage of Session Strings Pro. Furthermore, the violin, viola, cello and bass sections can now be played individually. Session Strings Pro is now available for a suggested price of $339 / 299 EUR from authorized dealers and in the NI Online Shop. An upgrade for owners of Session Strings is available for $229 / 199 EUR. VirSyn Updates iVoxel for iPhone/iPad Version 1.4 is now available. Bremmers Updates MultitrackStudio 6 Bremmers Audio Design have released version 6.4 of MultitrackStudio.